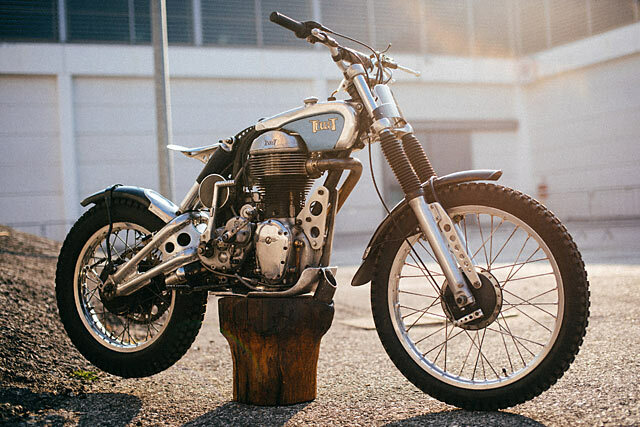 Rémy Vivien builds motorcycles in his spare time out of his workshop in Alsace, France. In recent years he’s caught the trials bug and as a devotee of old machines, he squared up the pre-1965 class. ‘But I didn’t want to buy an existing motorcycle that I had to modify, or assemble any parts from the internet. I wanted to create it from scratch,’ he says. ‘I wanted to make something for me by me. Something different.’ And he certainly has, with this incredible custom trials moto, powered by a 1946 500cc RGAS Terrot engine.